In the event of an emergency, time is of the essence and a fast, professional response is vital to minimise an environmental disaster. Oil spills can significantly damage the environment. Hovercraft can monitor, protect vast stretches of inter tidal areas to protect birds, shellfish and the marine food chain quickly and cheaply. Hovercraft can quickly access tidal mud flats to provide a health check, before and after any emergency. 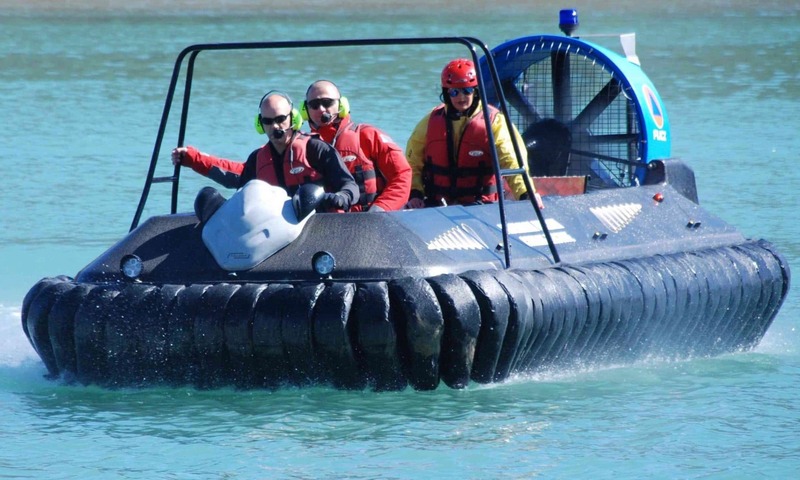 After a spill, hovercraft can be useful to continue to check the environment and allay environmental concerns. The hovercraft can be fitted with spray tanks to deliver detergents, or deploy protection booms. Hovercraft can also be used to reach damaged birdlife to provide medical care. Rather than attempt to tow the boom directly, the hovercraft can be fitted with a run line, to deliver towing lines to support vessels fitted with a winch. The advantage the hovercraft has is it’s ability to work in shallow or no water – hovercraft have no propellers, they just skim over the surface. The quicker protection booms can be deployed, before incoming tides, the better protected the environment will be, and the faster and cheaper the clean-up operation will become. Having hovercraft available can save significant associated operational costs. The Hov Pod Carbon Infinity is suited to commercial operations due to the lightweight construction afforded by carbon fibre and Kevlar, due to the superior power to weight performance it offers. Its size also makes it easy to ship by shipping container, or via airfreight. The Carbon Infinity has been designed for ease of use and maintenance – training and full operation manuals can be provided 24/7 on-line.